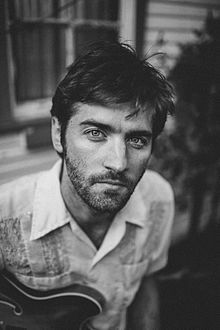 John Craigie is a contemporary singer songwriter and folk troubadour who has been compared to the likes of John Prine, Woody Guthrie, Ramblin' Jack Elliott and Pete Seeger, as well as the comic sensibility of Mitch Hedberg or Jerry Seinfeld. He has a distinct performance style that blends often profound and sometimes humorous songs with expertly crafted and highly entertaining storytelling. The result is a very engaging and original performer who can make you laugh, cry, think, and celebrate life in the course of one set. This was a really fun conversation (which we recorded while John was driving to the next gig, naturally) where we discuss John's perspectives on touring, "selling out the closet", engaging with post election Trump supporters, integrating storytelling in his performances, and much more. Please Enjoy!